Eletta Brucciani married Leonardo Quilietti in Castelvecchio Pascoli in the year 1866. Eletta was the daughter of Giuseppi Brucciani and Maria Teresa Conti. 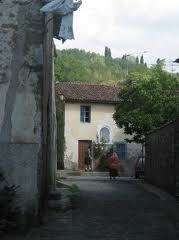 The families have lived in the village of Castelvecchio in the region of Barga for hundreds of years. Our sixth great grandfather Giulio Nicolai Conti was registered in the books of the Church as born on 16th October 1691. We can see now how the name GIULIO was carried on throughout the centuries to our own uncle Giulio Quilietti who died two years ago. His uncle was also Giulio Quilietti and so on and so forth…Giulio Nicolai married and we have traced at least four of his children. Our direct line was Luca Conti who was born in Barga on 8th December 1749. He would have been one of the youngest children of the family. Luca married Maria Giovanni Brogi and again had many offspring. Our direct line was GIULIANO AGOSTINO CONTI who was born on 15th February 1778 and baptised in the little church in the village of Castelvecchio Pascoli. 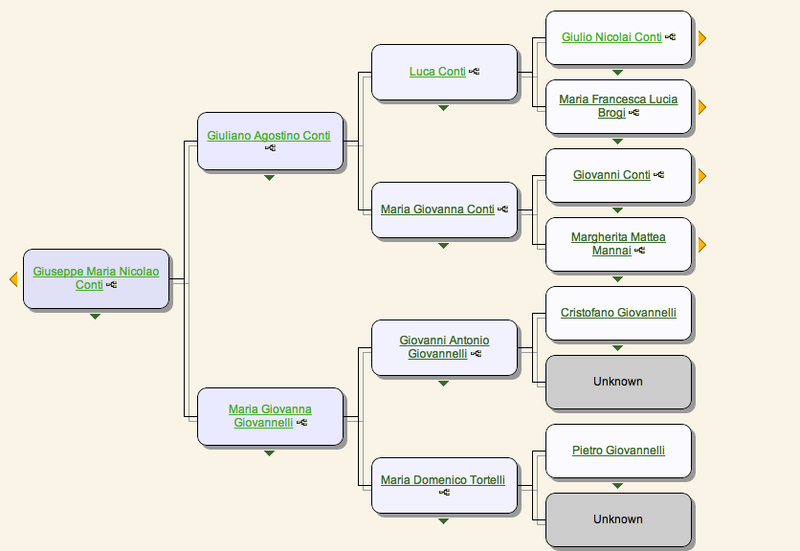 Giuliano married Maria Giovanna Giovanelli and the line carried on to our maternal gggrandmother MARIA TERESA CONTI who was born in the same village in the year 1784. My 5th Great Grandmother was called Maria Domenica Tortelli, daughter of Pietro Tortelli who was born circa 1710. She married Giovanni Antonio Domenico Giovanelli in the little church in Castelvecchio circa 1765. One of their daughters Maria Giovanna, who was my 4th great grandmother was born in the village in 1772. She married Giuliano Agostino Conti, son of Luca Conti and Maria Giovanni Lanni BROGI circa 1810 in the village. Their daughter Maria Teresa Conti, who was my 3rd great grandmother, married Giuseppe Brucciani on 14th February 1836 in the little church in the village. 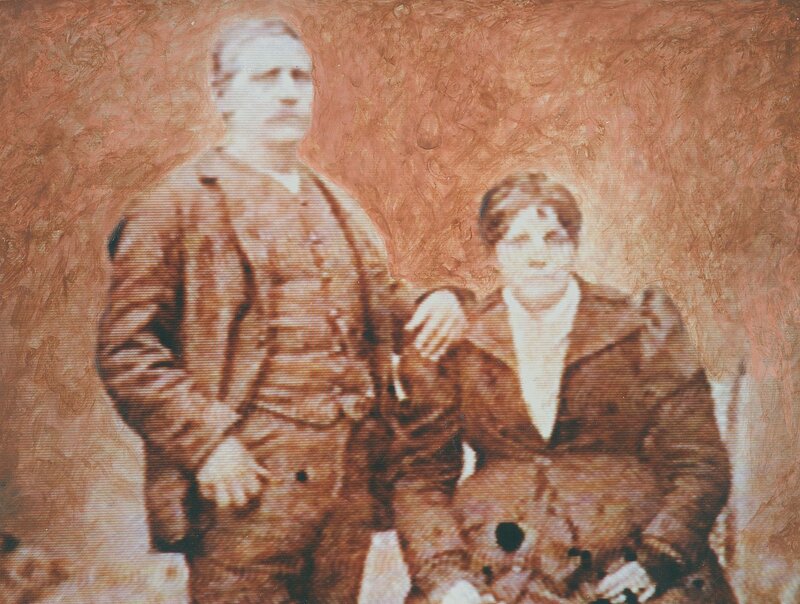 Their daughter Maria Giovanna Eletta Maddalena Brucciani, my 2nd great grandmother, married Leonardo Quilietti on 1st December 1866 in the little church in the village. The rest is our history. The Brucciani, Conti and Tortelli names are steeped in the Castelvecchio Church history and go back to the time when the records there began in 1638. Castelvecchio was then, and still remains a very small mountain hamlet. The first book of marriages with her 144 pages covers the years 1638 to 1839. This will give you an indication of the numbers of families who lived around the little village. In fact when we searched their Church Records there are marriages of Brucciani folks registered as far back as the year 1645. 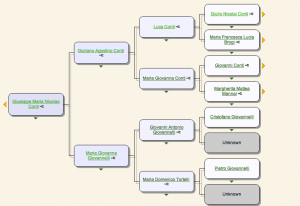 Here the simple marriage record tells us that Giovanni Brucciani, son of Antonio ties the knot with Maria, daughter of Cristofani Pietro Giovanni. Elletta’s father Giuseppi, who was by profession a figurista, a master craftsman of stucco and marble, was born in the year 1792. He lived in the village of Castelvecchio, comunita di Barga. His parents were Crisofano Brucciani and Maria Allessandra Rocchi. Giuseppe was a widower with a previous family when he married Maria Teresa Conti who was also from the same village. She was born in the year 1812 and was 20 years his junior. They were married in the Parrocchia di Castelvecchio S Niccolo’ a Barga. Her parents were Giuliono Conti and Maria Giovanna Giovanelli. The witnesses at their wedding were Bruciatti Iacopo and Cristofano Conti. Their first son was born on 14th August 1840 in the village of Castelvecchio, communita di Barga. He was baptised the next day with his sponsors given as Giuseppe Conti and Elisabetta Dini. Giuseppe was Maria’s brother. Their next daughter, Maria Anna Fortunata Alessandra was born on 15th April 1842 in the village of Castelvecchio and she was baptised also the next day. Amelia Teresa Brucciani was born in 1845. She married into the Dante clan and they emigrated to Rhode Island. Maria Giovanna Eletta Maddalena Brucciani, our own direct line, was born on 28th November 1844. We know her affectionately as Eletta. But at the time of the 1867 cencus after her marriage to Leonardo Quilietti her documented name was Adele. It can all be rather confusing. Maria Domenica Clementina Elisabetta was born on 7th July 1852. She married Pietro Donati and they emigrated to Scotland. Her husband Pietro was also a master Figurista. 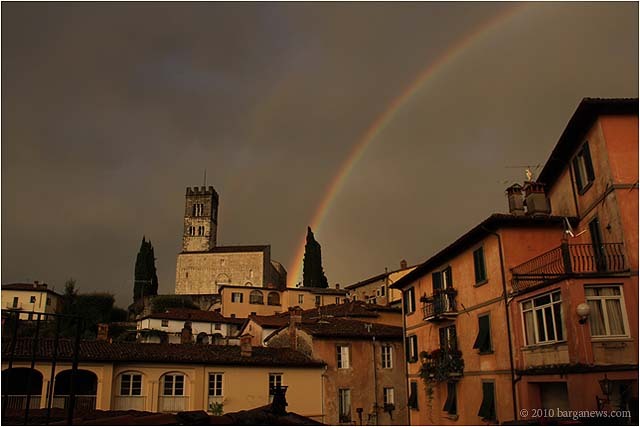 There were many Brucciani families in Barga and Castelvecchio Pascoli and the regions at this time and many of them would be related to Eletta either half-brothers and sisters, full brothers and sisters or cousins, aunts or uncles. Some of the Brucciani families moved to Scotland settling in Ayr and Glasgow and their birthplace was Barga.